Government prosecutors approved a district police decision to charge Ma Ngoc Thom, 33, for torturing a 14-year-old boy in her employ at a tiger shrimp farm in the Mekong Delta Province of Ca Mau. Police have already arrested Thom’s husband, Huynh Hoang Giang, 30, for the same crime. The Dam Doi District People’s Procuracy, which acts as the local prosecutor’s office, made the decision on May 1 and is now considering whether or not Thom will be allowed to post bail and stay at home to care for her 18-month-old baby. Nguyen Hoang Anh had worked on the couple’s shrimp farm in Ngoc Chanh Commune since August 2008. For more than a year, Giang and Thom savagely mistreated the boy, Anh said, telling investigators gruesome stories of how they burned him with hot irons and boiling water, ripped out his teeth with pliers, and threw shrimp tank cleansing fluid on his open wounds, according to Thanh Nien reports. 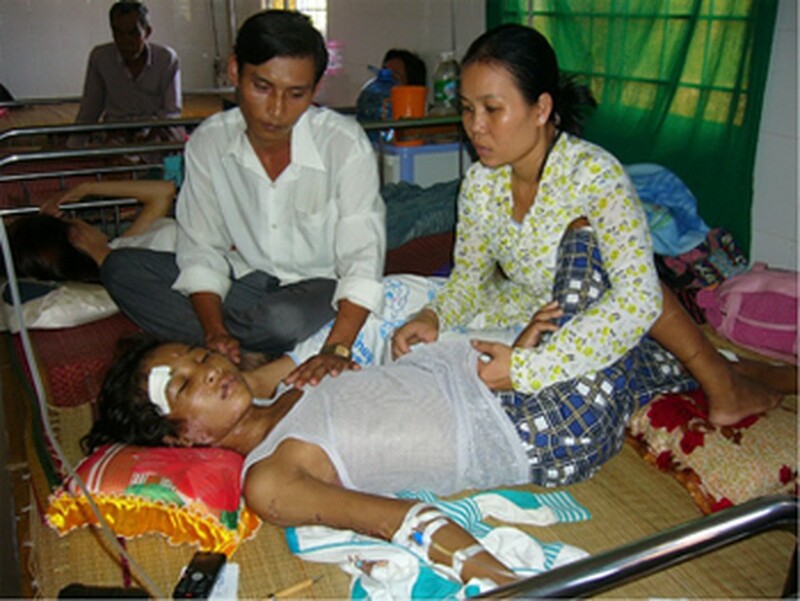 Police liberated the boy and took him to Dam Doi General Hospital on April 29. Doctors said Anh is gradually recovering his good health.